Honored to be selected as one of the six Artists chosen for the 2018 Gallery Selections at Sparks Gallery. 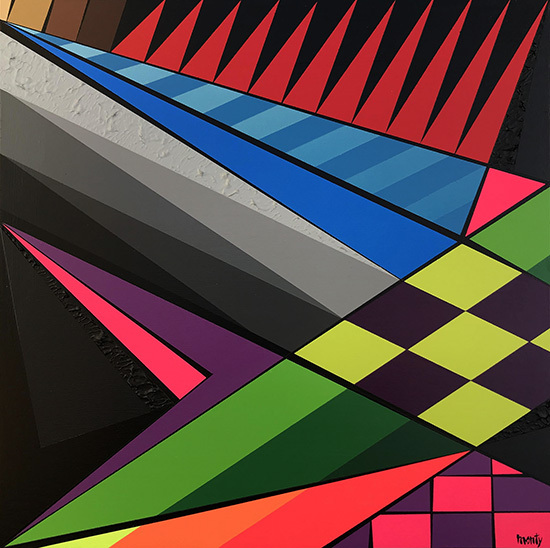 I had four new aerosol and acrylic works on birch panel featured in the exhibition and “Geo 81” seen below was one of the original works. 2018 Gallery Selections artists include Khalid Alkaaby, Paul Hobson, Monty Montgomery, Marissa Quinn, Perry Vasquez and Brady Willmott. While our selected artists represent a diversity of styles, media, and subject matter, they are united by exceptional technical skill, engaging compositions, and unique approaches to form and content.